Futsal, FIFA’s officially sanctioned version of Five-a-side football, may not be as widespread (or receive as much TV coverage) as the 11 vs. 11 “real thing”, but its popularity is very much on the rise. 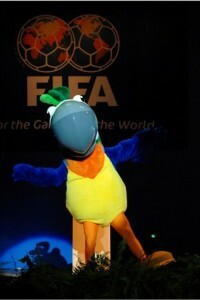 A popularity which can only grow further, with the 6th edition of the FIFA Futsal World Cup kicking off last Tuesday. 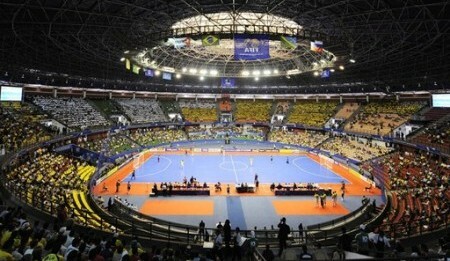 As title favorites Brazil, Spain, Argentina, Italy, and Portugal step onto the synthetic turf of Nilson Nelson Gymnasium and Ginásio do Maracanãzinho (the tournament’s two venues in the cities of Brasília and Rio de Janeiro), all eyes will be directed towards the soccer state for the biggest indoor footy showdown of the year. • Games are played on a rectangular pitch approximately 40 x 20 m in size. Playing surface is usually made of wood or artificial material (flat, smooth, non-abrasive). • Duration of the match is two periods of 20 minutes, with a 10-15 min. half-time interval. Clock is considered “out of play” (that is, time is stopped every time the ball is out of play for a kick-in, free-kick, corner-kick etc.). Teams are entitled to a one-minute time-out in each half. • Matches are played 5 vs. 5 (including the goalkeeper). Team roster includes 14 players, with unlimited substitutions allowed. • Games are played with a Size 4 official Futsal soccer ball, which has a very low bounce designed essentially to facilitate ball control. • Kick-ins are taken instead of throw-ins, and must be taken within 4 seconds of the player taking possession of the ball. • Fouls & free-kicks: for the first 5 accumulated fouls recorded against either team in each half, the players of the opposing team may form a wall to defend a free-kick. Beginning with the 6th accumulated foul recorded against either team in each half, the defending team’s players may not form a wall to defend a free kick, and all the other players (except the kicker) must remain BEHIND the ball (i.e. behind an imaginary line that is level with the ball and parallel to the goal line). 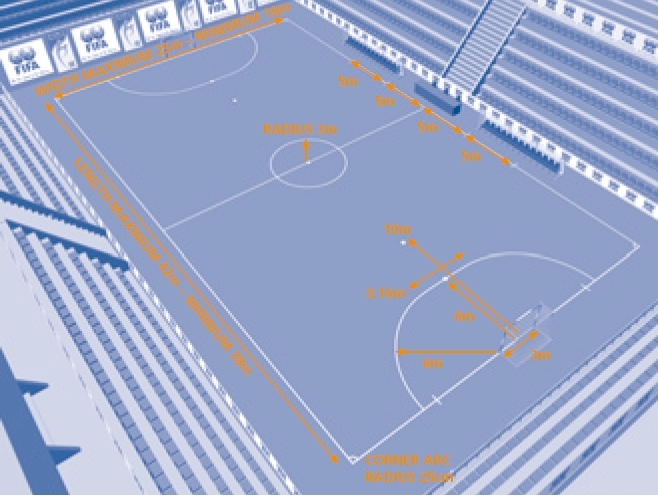 No player may cross this imaginary line until the ball has been struck and starts to move. There are few places on the planet where passions for the game of Futsal run as deep as in Brazil. For that very reason, the entire host nation will be behind their Seleção in upcoming weeks as they try to reclaim a title they have not won since 1996 (after having triumphed in the first 3 editions of the showpiece competition). 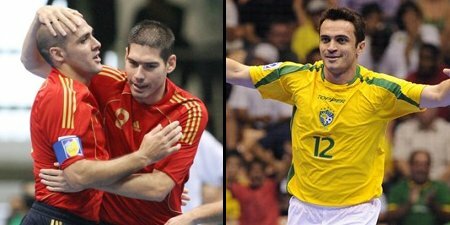 Indeed, in the previous two editions of 2000 and 2004, the Auriverde have had to exit at the hands of eventual winners Spain, who have touched down on Brazilian soil determined to hold onto their world crown and their status as Futsal’s top dogs. As the tournament unfolds, the uncertainties surrounding its participants continue to increase. Can Italy or Argentina, runners-up and 4th respectively in 2004, break Spain and Brazil’s stranglehold on the coveted trophy? Will 2008 be the year Russia, Ukraine, Iran and Egypt make the definitive breakthrough? Will another, less-favoured side, emerge from the shadows to spring a surprise? The answers to these questions and more should not be long in arriving. 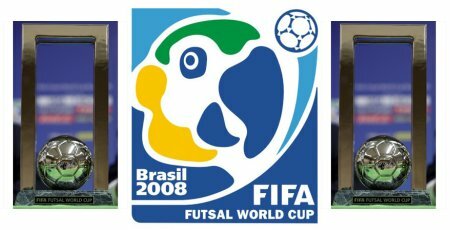 The entire FIFA Futsal World Cup tournament 2008, taking place between September 30 and October 9, will be equally spread out between the cities of Rio de Janeiro and Brasilia. Rio will also host the semi-final & final matches, at the Ginásio do Maracanãzinho stadium: 12,600 seats, located right next to the mythical Maracaná stadium. The competition format is straightforward enough. The 20 participating teams will be divided into 4 groups of 5 (Groups A-D) for the first round, to be played in a round-robin format. The top 2 in each group progress to the second round, where the 8 remaining teams will be split into 2 groups of 4 (Groups E and F), also to be played in a round-robin format. The winners of Groups E and F will progress to the playoff round (semi-finals), where they will meet the runners-up of Groups F and E respectively. Nowadays, Italy rate as one of Europe’s most consistent futsal nations, although the early years were anything but plain sailing. 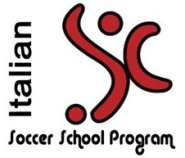 The Italians did contest the first FIFA Futsal World Cup in the Netherlands back in 1989, but were eliminated in the second group phase. The next two global match-ups also failed to produce any significant success, and Italy missed out altogether on the 2000 finals in Guatemala. Their greatest success to date came just four years later, however, with the runners-up spot in Chinese Taipei after an unlucky 2-1 defeat by Spain in the Final. The Italians boast a much better record on the continental stage, winning the European crown in front of their home crowd in 2003 with a 1-0 triumph in the final against Ukraine. Spain again provided the opposition in last year’s European final, the Iberians once more coming out on top by a 3-1 margin. Russia	 Russia travel to Brazil looking to build on their impressive track record at global and continental level, including 3rd- and 4th-place finishes at the FIFA Futsal World Cup finals in 1996 and 2000 respectively. After another podium finish at the most recent European championships, coach Oleg Ivanov’s team are not to be underestimated when the world’s elite gathers in South America. Depending on your location, local coverage may vary. In Italy, RAI will be covering most of the event with live/delayed matches. The channels however, are only available to those living in the Italian peninsula. Online, ESPN 360 offers a good coverage of pretty much the entire tournament, but there may be associated costs to using the service, depending if your ISP has a contract with them or not. It seems however that MyP2P.eu‘s match listings also include a good number of Futsal World Cup games, so your best bet is to go to their search page and type “Fifa Futsal World Cup” in the “Competition” line. Note: Special thanks to Gazzetta dello Sport and FIFA.com for their presentation articles & team profiles. 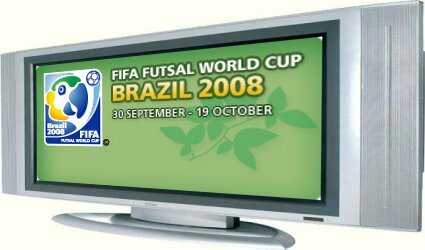 This entry was posted on Saturday, October 4th, 2008 at 10:25 pm	and is filed under Azzurri, Futsal. You can follow any responses to this entry through the RSS 2.0 feed. Both comments and pings are currently closed.